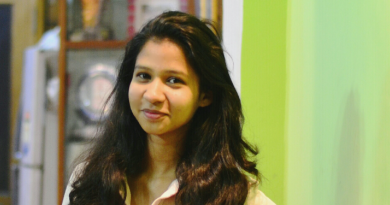 About the Author: Sanya Singh, a student of Northern India Engineering College, joined Internshala Trainings for Web Development training. She talks about learning the ropes of web design and how it helped her bag an internship. While browsing on Quora, I came across the question – ‘What are the best sites to apply for internships in India’ and that’s how I came to know about Internshala. I knew I’d soon have to apply for internships, so I decided to explore the website. What attracted me more than the long list of internships was Internshala’s web development training. I had no prior knowledge of website development but had always wanted to know how a website worked. Its content seemed interesting too, and so I decided to enroll in this training. It was a 6-week long online training which was divided into 4 modules – HTML and CSS, Bootstrap, SQL, and PHP. The training started with frontend technologies wherein I learned to develop a webpage using HTML tags and to design and style it using CSS. The first and second modules introduced me to the working of various tags, the styling of pages, and the concept of responsiveness. The next two modules taught me the nuts and bolts of the backend. I learned different storage techniques, types of databases, SQL queries, DML commands, and various types of keys and their uses. Lastly, I learned server-side scripting language and MySQLi. Most of the queries I had during this training were solved via Q/A forum but if I ever got stuck on something, Parinay Singh, one of Internshala’s teaching assistant, would help me out. The quizzes and coding challenges made this ride quite interesting and the solutions to all the assignments were really helpful. In those 6 weeks, I learned much more than I had expected. Just after the training completed, I began my search for relevant internships with an eagerness to work on live projects. I applied to an internship at Basic Eduventures. I shared the link to the e-commerce website I had built as a part of the training in my application and within a week or so, I received an email stating that I had been shortlisted. Going forward with the selection procedure, they gave me a task wherein I had to design a homepage for their website with a header followed by a photo carousel, services, and other details. I put everything I had learned during the training to use and submitted my entry. Guess what, I was shortlisted for the telephonic interview! In the interview, the recruiter asked me what I expected from the internship. I told him that since it would be my first stint at a corporate job, I looked forward to gaining experience and expanding my knowledge base. After a few more questions like how much time I could contribute and if I was aware of the websites they were running, I was hired! Now, I am working as a frontend developer with them. My responsibilities include developing various blogs and websites for the organisation and testing them for speed and performance. I also work on their SEO plans, meta tags, and WordPress plugins. I cannot thank Internshala enough for building this platform where we can learn new skills and explore opportunities to deploy our learning in a real-time work environment. Excited with Sanya’s review of Internshala Web Development training and want to discover what goes into creating a website? Register for Internshala Web Development training – get an additional 10% discount and learn the nitty-gritty of website development. I have beem searching for suitable internship for 2 years buy i didnt get all this time. How to make them to concentrate on my resume. I’d suggest you add more details to your profile such as of class 10th, 12th, training, projects, skills, etc. A high resume rating increases the visibility of your profile and improves the chances of getting shortlisted for an internship. You may visit https://blog.internshala.com/2016/01/4-reasons-your-application-got-rejected-and-how-to-fix-them/ for tips to improve your application.